The creamy, yellow flesh of orange sweet potatoes is a familiar comfort, while a lump of purple tuber might look a little out of place at your dinner table. 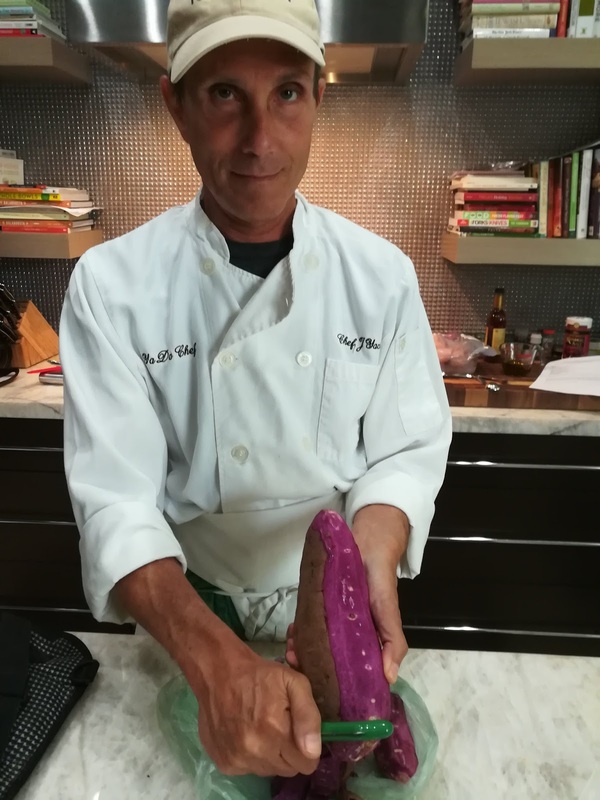 Purple sweet potatoes, also known as Okinawan potatoes, share the same starchy sweetness of more familiar varieties. Like orange sweet potatoes, they are low in carbohydrates and fat and an excellent source of fiber and vitamins. 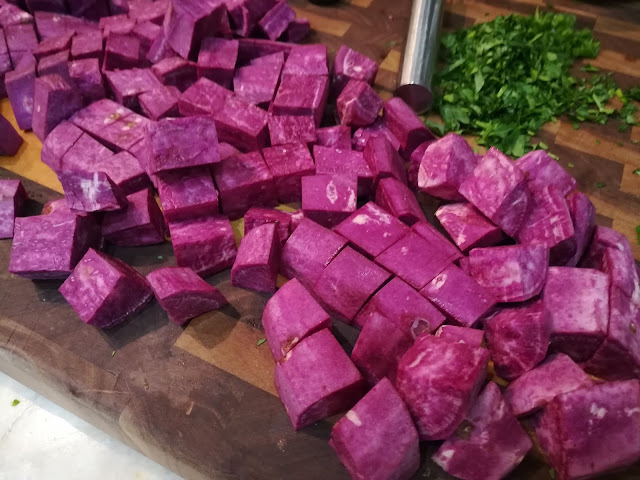 Additionally, purple sweet potatoes are packed with anthocyanins, which may have anti-inflammatory properties. A medium, 7-inch-long skinless Okinawan potato contains 251 calories and 61 grams of carbohydrates. The tuber offers 6 grams of heart-healthy dietary fiber and has no fat or cholesterol. Purple sweet potatoes are an excellent source of vitamin A. A medium potato serving yields 1,643 retinol activity equivalents -- retinol being a form of vitamin A used in measuring vitamin amounts. The daily recommendation for vitamin A is 600 to 900 micrograms of retinol activity equivalents. The brightly hued tuber also contributes 812 milligrams of potassium toward your 4,700-milligram-per-day adequate intake and 58 milligrams of calcium toward the 1,000-milligram-per-day recommendation.